Creating Software and Plugins related to HDR came out of our own need to do HDR color grading, HDR content productions, HDR test patterns and image quality consulting. This means that tools from FF Pictures are made to solve problems and save time in challenging post production workflows. Experience our unique solutions to create and quality control High Dynamic Range contents. If you add our tools to your existing workflow, it will help you to simplify tasks, do accurate quality control and increase the production value of your HDR content. HDRmaster toolset: Includes HDRmaster 8K as well as a series of HDR related plug-ins for video editing (NLE) and color grading. 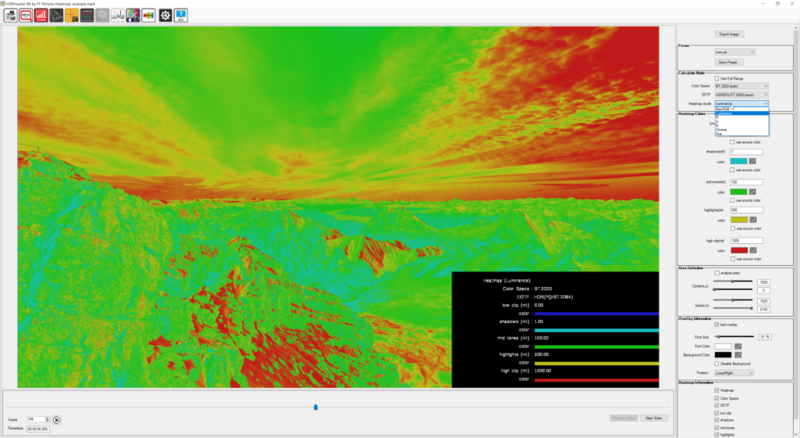 Now with advanced HDR analysis tools, more file formats, GPU accelleration (up to 10x faster than version 1), dynamic metadata and automatic inspection features. The HDRmaster Toolset includes HDRmaster applications (v2 and 8K for Windows) as well as Plug-Ins for Davinci Resolve and Adobe Premiere / After Effects hosts. The annual subscription model with additional costs after the first year will help to get the latest versions and new features to you. HDRmaster v2 Standalone for Windows is the right choice for you if you want to save money because you don’t need 8K, 64-Bit or the additional Plug-Ins. HDRmaster v1 Our cheapest solution with a one-time-fee if you only want to add or edit some HDR metadata in your delivery files and don’t need all of the advanced analyzers. HDRmaster v1 is the successor of SEIedit. This tool for Windows includes all capabilities to inject or edit HDR / HLG metadata into video streams. 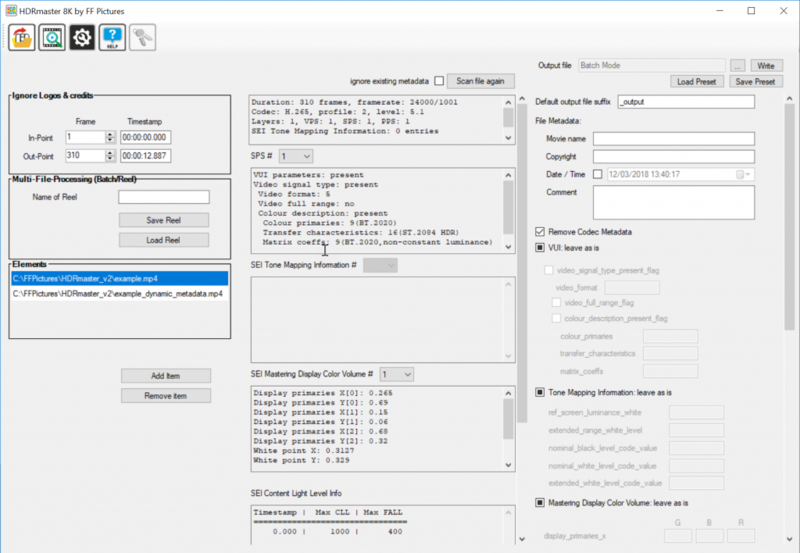 HDRmaster will also allow you to read RAW YcbCr values as well as decoded RGB and nit values. You won’t find any other tool that is capable of these functions and still affordable for small businesses. HDR Heatmap: False color representation with for specific ranges of luminance or MaxRGB values. Chromaticity Diagram: This analyzer shows all pixels in the current picture represented as chroma coordinates in a CIE 1976 or CIE 1931 diagram. 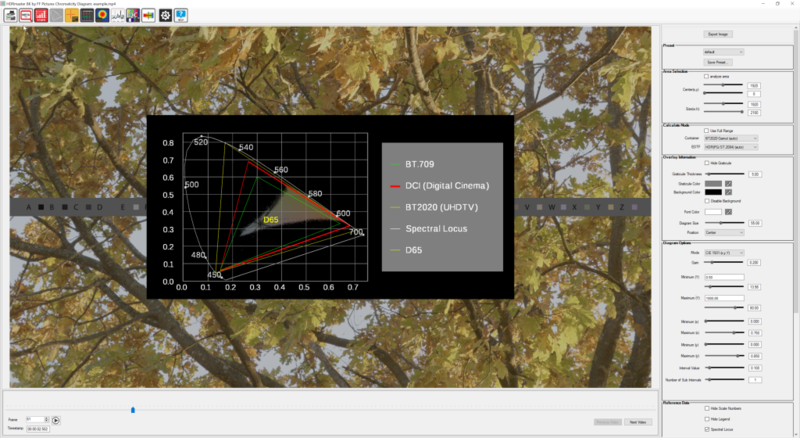 Main screen of HDRaster 8K with the ability to configure reels, in/out-points as well as reading editing and writing HDR metadata. HDR Inspector: Basically one tool to do it all at the push of a button! You’ll get a full analysis of metadata, signal levels together with warnings based on a detailed smart analysis of your file(s). MetaCLL: Detailed Metadata and Signal Level Analysis over the whole video, providing statistical values such as MaxCLL and MaxFALL or luminance levels of Highlights for all frames in the video. The results are summarized and written into a CSV which can be applied to the individual frames of video as well. Dynamic Metadata: HDR10+ compliant handling of dynamic HDR metadata, allowing to import and export dynamic metadata, supporting both (video and JSON files), seeing values for every frame, edit values and more. Test pattern QC: In modern HDR workflows, many tools involved have a lot of settings and the accuracy of the workflow can be messed up easily. Test pattern QC is capable of analyzing many different signal parameters at once and create a pass/fail report out of it. The needed Test Stripe to implement in your workflow is included as a uncompressed TIFF-File. Chromaticity Diagram: Shows you the pixels of the content in a CIE Diagram (x,y and u’v’ coordinates) to see if everything is exceeding specified gamuts like BT.709 or DCI-P3. Color Analyzer: Allows you to put a cursor somewhere in the frame of your video to see all relevant luminance- and chrominance values of the selected pixel. HDR Histogram: See the luminance distribution of the current frame in different modes and an adjustable range. HDR Heatmap: Converts luminance to selected colors, similar to the “false color” feature of many production monitors. Oscilloscope: This analyzer function will give you an oscilloscope-like tool for your videos or frame sequences (TIFF, EXR, DNG, DPX). The data for the Waveform can be a single line or column or even a drawn line from Cursor A to Cursor B. 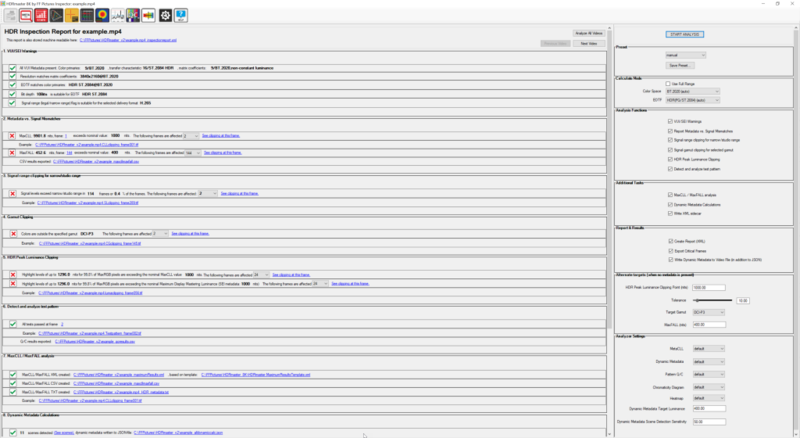 The values can be exported as CSV for further processing (for example when you do camera tests). Editing HDR metadata: This function of adding or editing HDR metadata exists since the initial launch of the SEIedit software which features are part of all HDRmaster versions. Youtube HDR example: The HDR video above was prepared with HDRmaster and got uploaded to youtube afterward. HDRmaster comes with a preset file for youtube HDR. Please note that the encoding has to comply with Youtube standards. HDR combined test pattern: This pattern is included in HDRmaster (TIFF, AVC, HEVC). It’ll allow you to check signal levels and do comparisons in order to eliminate “gamma shifts” some colorists and post production houses are facing.